It was wonderful to be back with all of my storytime friends after being gone for threeee looong weeeks! We had so much fun pretending to be dinosaurs (roaring, stomping, clawing, etc.) at storytime today. Even the boys who sit in the waaay back were loving storytime. And even though my voice was hoarse for the rest of the day, it was completely worth all of the fun ROOOOOAAAAAARRS! Raise hands and call loudly: Oh Diiiiiiiiiiiinosaur! Slap hands on thighs to make “running” sounds. Two dinosaurs went out to play…. That they played until the day was done! 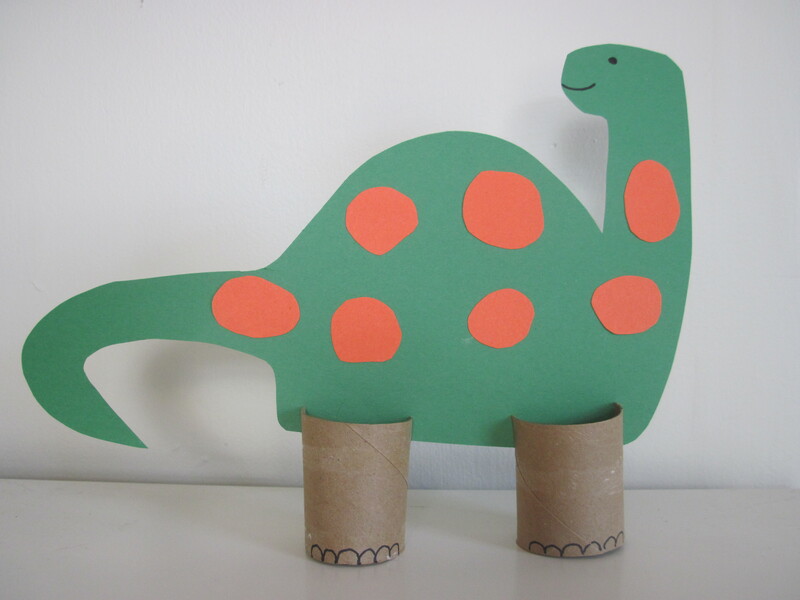 Apatosaurus’ (Ap-at-owe-sore-uss) mouth went munch, munch, munch…..
March in a circle like dinosaurs (stomp, make claws with hands). Then stop to eat, march, stop to sleep, march, ROAR! 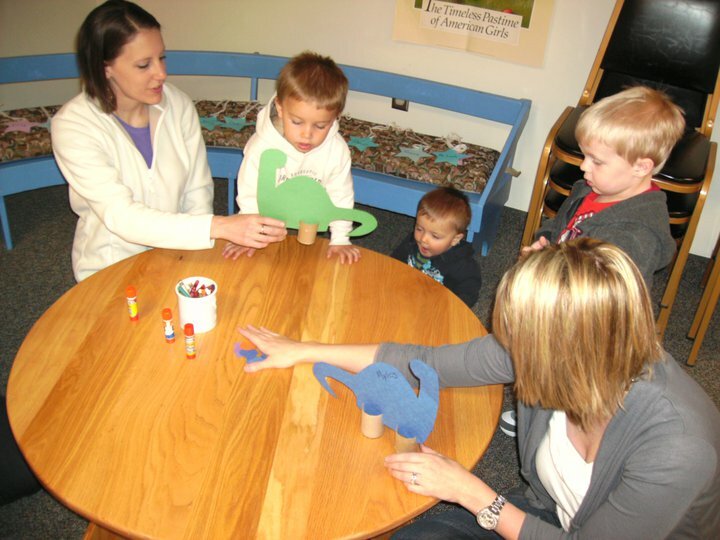 A big Thank You to Mel’s Desk for many of the ideas for this awesome storytime! 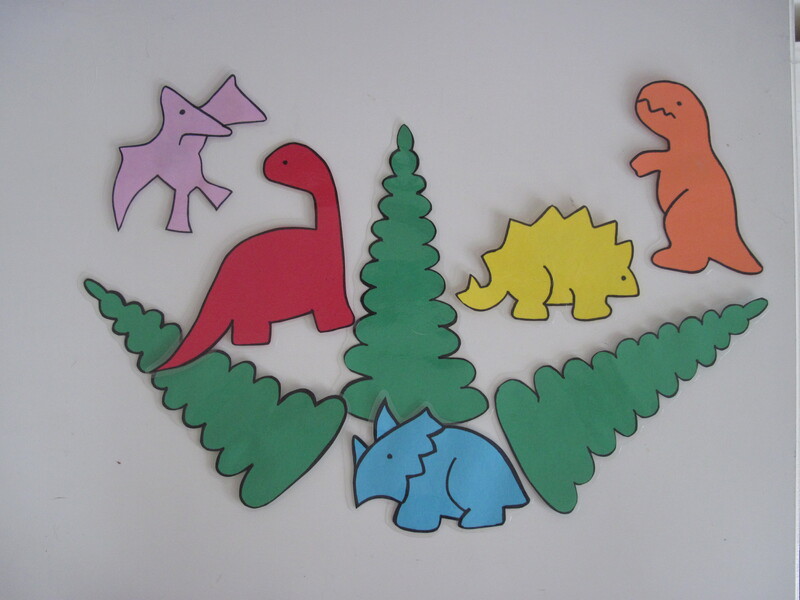 We made these dinosaurs at my son’s 5th birthday party yesterday and they were a huge success! Thank you!